Boaz Tumwesigye serves as Regional Coordinator and Communications Lead for the U.S. Agency for International Development (USAID) Preparedness and Response (P&R) Project, Central and East Africa Region. P&R facilitates countries in developing and maintaining national preparedness and response plans to respond to public health events at the regional, national, and subnational levels. 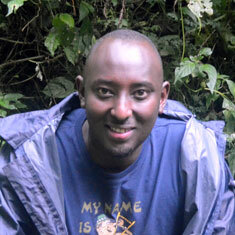 Until April 2015, Boaz was the Chief of Party for the USAID Strengthening Sustainable Ecotourism and Livelihood project in Rwanda, providing technical direction and oversight of sustainable, ecotourism development programs in and around Nyungwe National Park. Prior to joining DAI in 2010, he served as the general manager of a leading U.K.-based international nature tourism operator for many years, managing nature tourism financing and development initiatives in the region. His strong networks and relationships with many of the local, regional, and international development players have made him an invaluable asset to DAI.